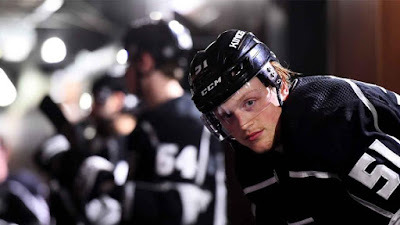 The Los Angeles Kings have recalled defenseman Daniel Brickley from the Ontario Reign (AHL), Kings Vice President and General Manager Rob Blake announced on December 12. Also, defenseman Alec Martinez has been placed on injured reserve retroactive to Dec. 8. The 23-year-old Brickley (born March 30, 1995) is a 6-3, 203-pound native of Sandy, Utah who has played in 21 games during his first professional season with Ontario, recording five points (2-3=5) and 12 penalty minutes. He made his NHL debut last season with the Kings, appearing in one game, posting an assist (0-1=1) and a plus-1 rating. The Kings continue their four-game road trip on Dec. 13 against the Columbus Blue Jackets at 4 p.m.